San Antonio, TX- Approx. 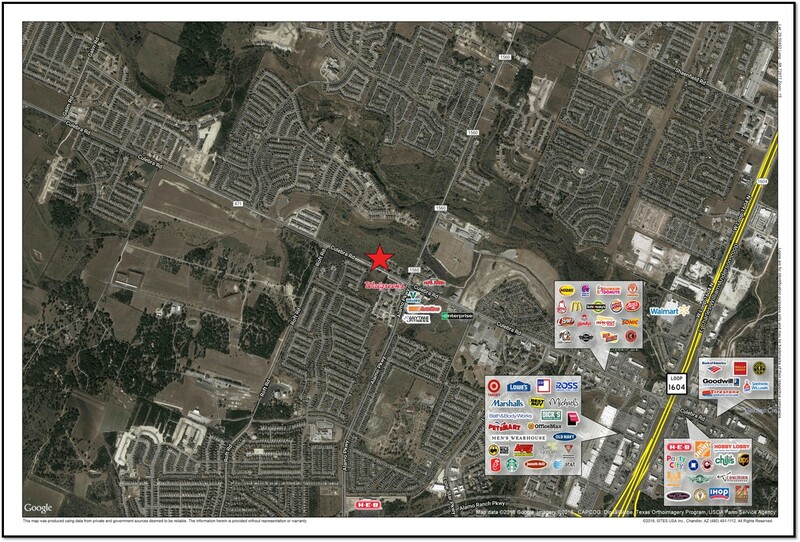 1.4 acres available for sale at Culebra Rd and Alamo Pkwy which is located in the fast growing NW sector of San Antonio: Alamo Ranch. 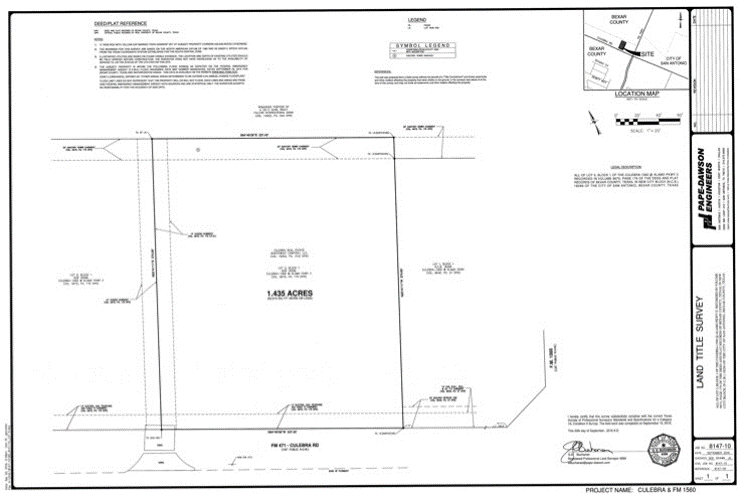 The lot has ±227′ of frontage on Culebra and ±268′ of depth, C-2 zoning and is platted with all utilities.